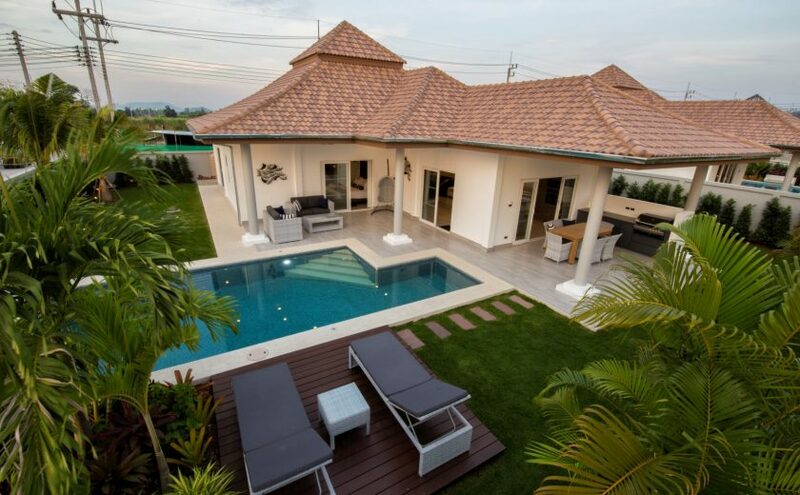 The Villa Orchid Signature is the same as the Villa Orchid Deluxe but includes an island design kitchen with built in appliances, a larger swimming pool at 9.5m x 4m, an outside BBQ area with gas BBQ & a sun deck area. The design is the same apart from these features. Open plan living for a nice feeling & a great space for relaxing & entertaining. Standard features included. 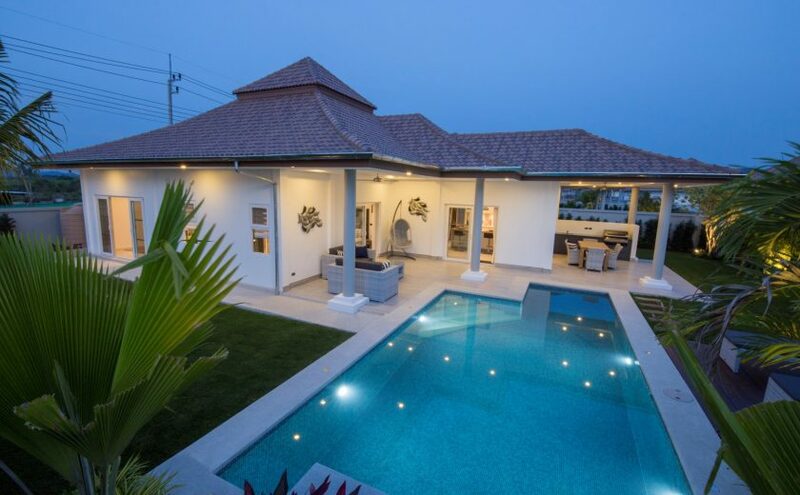 The images here are from our original Villa Orchid Prestige show villa. 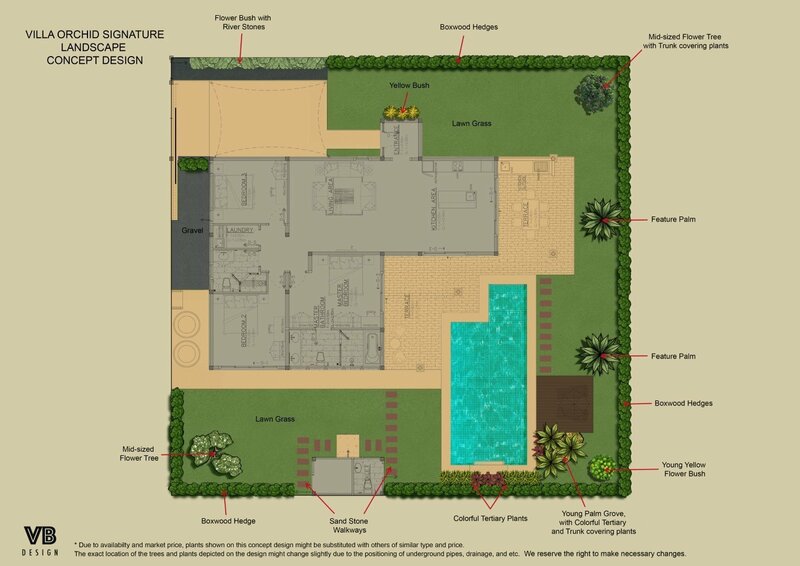 We will start construction for the new Villa Orchid Signature show villa soon. Master Bedroom & 2 guest bedrooms. More than enough room for you and your family. We give you a 700,000 Baht budget for furniture chosen with Beautiful World Hua Hin. Master bedroom with en-suite. Second & third bedroom share guest bathroom. All rooms have air conditioning to help make sure you stay cool in the hot Thailand weather. Your Kitchen is supplied by Danish company, Kvik, which includes modern appliances. Covered parking area which can accommodate 1 car & a motorcycle or bicycle or other. 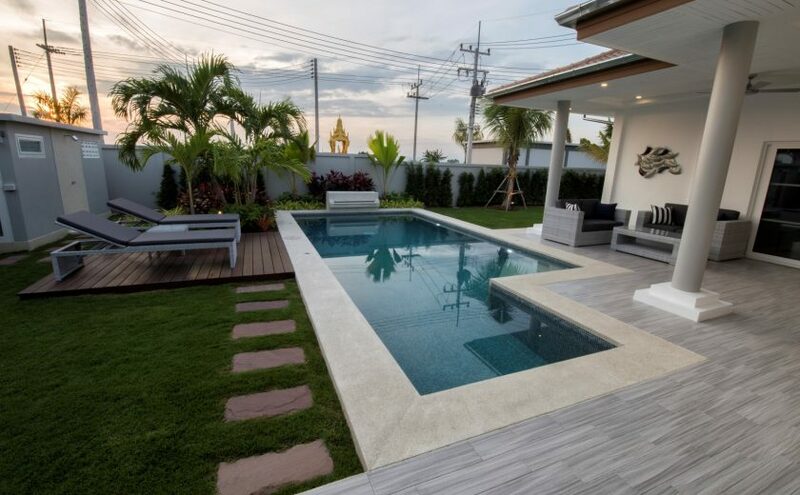 Your villa comes complete with a tropical landscape garden design. Please be aware, this video walk through is from our original Villa Orchid Prestige show villa. The new show villa for the Villa Orchid Signature will start construction soon.